Find out why the Calgary-based airline chose Cognos Analytics as its main BI tool. See how this customer used risk analytics and BI to improve processes. 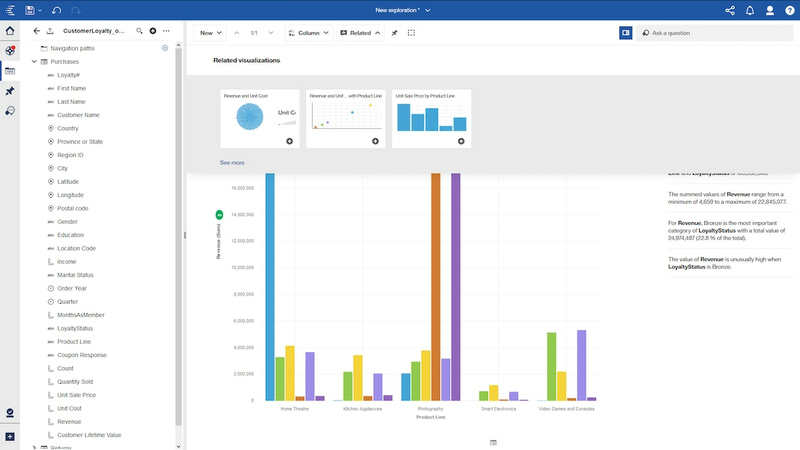 Learn how Cognos Analytics makes it easy for users to find reports and dashboards and interact with them. Learn the new streamlined process for the creation of professional reports using the new IBM Cognos Analytics solution. Learn of the new guided experience for creating visually appealing dashboards. Who are the leading vendors offering beneficial value to customers wanting to implement a ‘modern’ enterprise BI platform? A Cabot Partners assessment on how to quantify the value that IBM’s business analytics tool offers. Learn how to address the different business needs and infuse business intelligence across the enterprise. Create Killer Dashboards and Reports! Find out how to create stunning data presentations in minutes using Cognos Analytics.